Wave Runner 700 Kanye Bear Long Sleeve shirt. Sneaker clothing and graphic sneaker tees to match Yeezy Wave Runner 700 shoes. 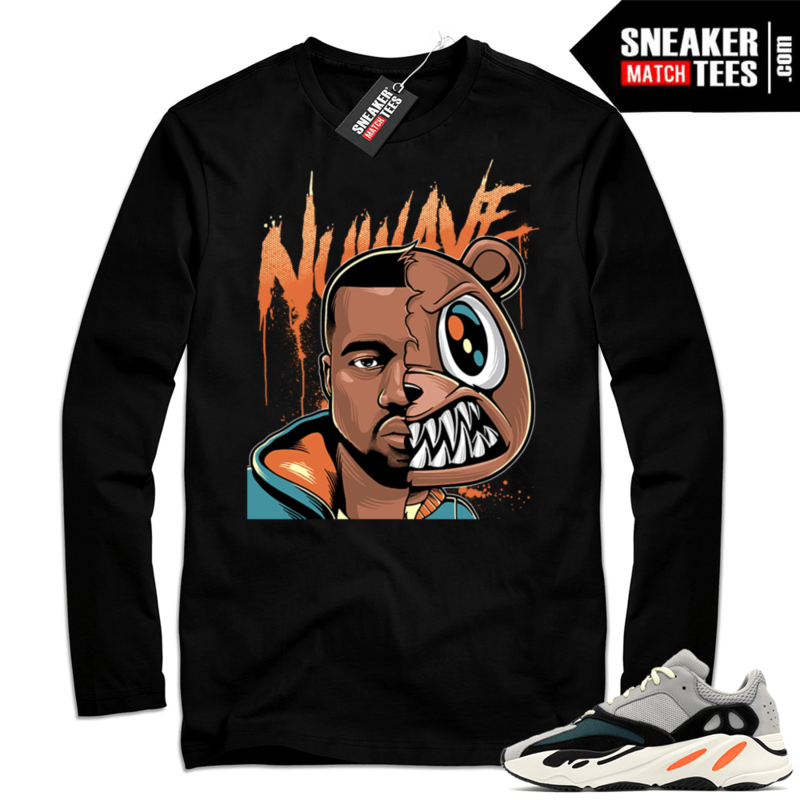 Wave Runner 700 Kanye Bear Long Sleeve shirt. Shirts designed to match Wave Runner 700 colorway. Sneaker clothing and apparel to match Yeezy shoes. Yeezy 700 Wave Runner release date Sept 15, 2018. The Yeezy “Face-Off” shirt was designed to match with your Yeezy sneakers. This design is exclusive to Sneaker Match Tees Online shop. Complete your Sneaker outfit with this exclusive design.